The makeup no-buy project I’m on has triggered a lot of decluttering in other areas of my life. I’ve recently downsized my closet, linens, and home decor stash significantly, and I’m on a roll to get rid of even more. In this process I’ve realized that many of the individual items have long since served their purpose to me, and I’m ready to move on to bigger and better things. That leads me to my current luxury wish list. I love the idea of striving to have fewer and better things in my wardrobe. 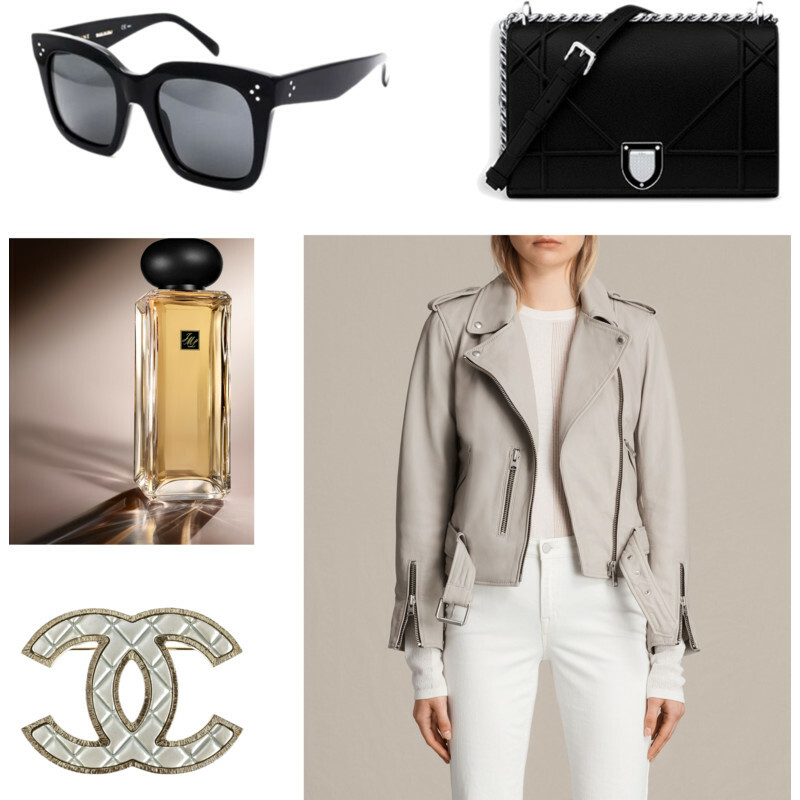 Here are all the most wanted and most expensive designer items at the top of my luxury wish list. I came dangerously close to purchasing this bag tax-free in Hong Kong recently, but I thought it would be a smarter idea to save this for my next milestone birthday. This bag is stunning and suits me a lot more than the CHANEL Classic Flaps I was previously lusting after. The Diorama bag is also pretty rare on the used market, so I’m hoping it’s a timeless style for many years to come. Believe it or not, I don’t own a real leather jacket. And I’m not sure I ever have… it’s just not something I’ve ever splurged on when so many great faux options are more affordable and look just as nice. But there really are no substitutions for the buttery smooth finish of an AllSaints Balfern jacket. They now come in so many different colors, however the light grey and classic black interest me the most. These specific sunglasses have been on my wish list for years. I love the extremely oversized shape and squared off edges. The lenses are opaque black, perfect for hiding behind. Again, another item on the wish list that has stood the test of time. There are so many CHANEL brooches on the secondhand market, plus new collections being released every season, it’s hard to pick a particular style I like best. I know eventually getting a brooch will be an excellent edition to my wardrobe because it’ll be the perfect piece to dress up any top or outerwear. I can’t get this scent out of my mind. This is a sensual black tea fragrance with warm oriental notes of amber, vanilla, and wood. When I finish off a couple of bottles in my current stash, this will be my next fragrance splurge, for sure! Want more even more wish list goodness? Be sure to check out my Wish List page which is constantly updated with new shoes, clothing, and accessories that catch my eye. Let me know what’s at the top of your luxury wish list in a comment below! I love all of your picks!! I want these sunnies!! I caved and just bought them… and they are GORG! All of the Jo Malone rare tea scents are amazing, definitely drop by the counter to give them a try! It’s SUCH a versatile piece! I’ve seen lots of other bloggers style it pinned in their hair, in a scarf, and dozens of other ways to really get good use out of it.